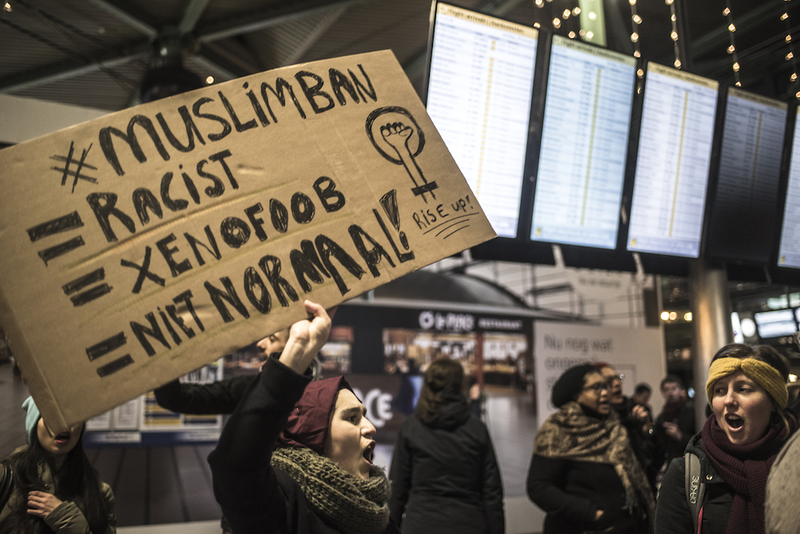 The Dutch government has halted talks with the US on setting up border and customs controls at Schiphol airport because of president Donald Trump’s entry ban. The talks on allowing the US to carry out pre-clearance checks on travellers to the US while on Dutch soil began in December. The aim was to help travellers bypass long waits at US passport control. Foreign minister Bert Koenders told MPs on Tuesday that the talks had been suspended temporarily. MPs from across the political spectrum criticised prime minister Mark Rutte for not coming to parliament for Tuesday’s question and answer session. The prime minister, as the keeper of Dutch values, should have been in parliament to denounce racism and discrimination, Socialist Party leader Emile Roemer said. Koenders and PVV leader Geert Wilders clashed over Wilders support for the ban. ‘You want to ensure than human rights do not apply to everyone,’ Koenders told the MP, pointing out that the ban affected Iraqi soldiers who had fought with the US against Isis. ‘You are making the world a less safe place,’ Koenders said. Koenders also said that the cabinet wants to ensure people with dual nationality who have been hit by the ban are properly protected. He has called a meeting of European ambassadors in Washington to discuss the situation. DutchNews.nl is aware of at least one dual Dutch Iranian academic who was supposed to travel to New York this week for research. The ban will also be an important point on the agenda at the European summit on Malta at the end of this week. Ministers are also talking to Schiphol airport and KLM to ensure people caught up in the ban are looked after as well as possible. DutchNews.nl reported on Sunday that six Iranian nationals had been stuck at Schiphol airport after KLM refused to fly them to the US. When asked if any special provisions had been made to help them, Schiphol said it was up to the airline concerned. The six are expected to fly back to Iran on Tuesday afternoon.